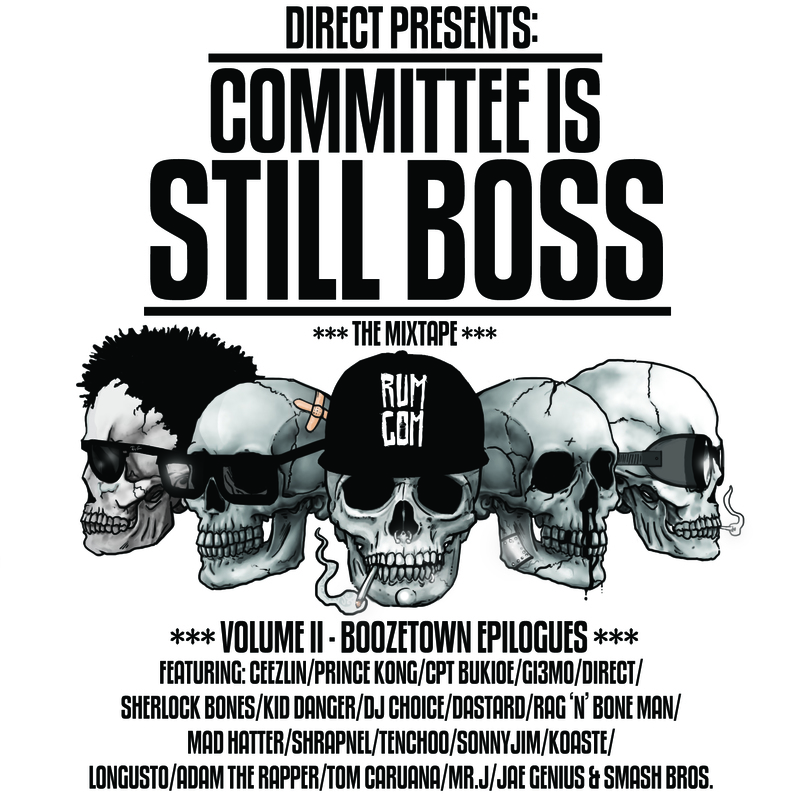 Rum Committee – Committee Is Still Boss [@RumCom] | "Up to date / state of the art / take part, get taken apart as I make my mark"
Its here. Its free. They’re still boss. Brighton’s rowdiest rap reprobates drop their new mixtape featuring a whole host of new tracks drenched in cane spirit. This entry was posted on April 30, 2013 by Koaste in 2wo 7even 3hree, Live From The UK, Mixtapes and tagged Bukioe, Ceezlin, Committee is Still Boss, Gizmo, Koaste, Longusto, Prince Kong, Rum Committee.